I would select the first note and hit the 't key when it ties it to the second. 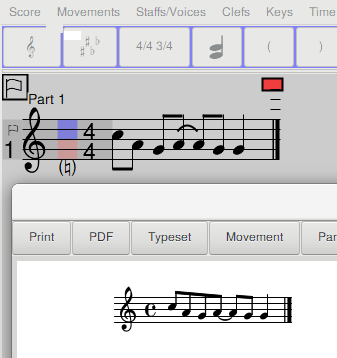 The only way I can select 2 notes is to select the first and then hold shift key down and cursor right. Then "attaching the tie" ties the last note to the one following whether done with 't' or the menu. It does not tie the selected notes together. and the '+' key sharpens the second note. Editor and Typeset windows below. Next by thread: [Denemo-devel] The last issued command.